The law firm of Hardy, Wolf & Downing is concerned over recent efforts to repeal the Maine seat belt law, particularly in light of a recent 75-car pileup in the state that left 17 motorists injured. 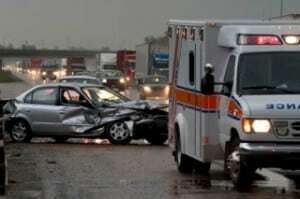 Those who were involved in the massive crash, or who were injured in another motor vehicle collision, may benefit from a free legal consultation with a Maine highway accident lawyer at our law firm. The February 25 crash, which was the largest in recent Maine history, occurred on Interstate 95 between miles 173 and 170. Upon investigation, it was discovered that the majority of vehicles involved in the accident were traveling at least 10 miles above the posted, reduced speed limit. Reduced speeds were flashing on the hazardous-weather speed limit signs, warning motorists to slow down for the icy, snowy condition. However, data provided by the Maine DOT showed most of the motorists on the road at that time did not heed the warning. While no fatalities were reported with this crash, at least 17 people were taken to Bangor hospitals with injuries. The accident occurred on a snowy section of the highway that had not yet been treated with salt due to blowing conditions in the area. Because the roads were untreated at that time, a plowing company in charge of clearing the road had activated the hazardous-weather signs to warn drivers of the danger. The newsworthy accident occurred just two days before Maine legislators were planning to discuss a bill that would allow adults in the state to choose not to wear seat belts. The author of the bill, Sen. Eric Brakey (Rep-Auburn), said requiring adults to wear seat belts by law was an infringement of personal rights. However, even Brakey acknowledged to Fox News that the introduction of his bill would suffer from the poor timing. A number of organizations oppose Brakey’s bill, including the Maine Chiefs of Police Association, the Maine Sheriff’s Association, and the Maine Medical Associations. Numerous trauma surgeons that see firsthand the dangers of not wearing seat belts also oppose the bill. Opponents claim that a repeal of the seat belt law would lead to more highway deaths in the state. According to the Centers for Disease Control and Prevention (CDC), “Adult seat belt use is the most effective way to save lives and reduce injuries in crashes.” The agency also estimates that use of seat belts can reduce serious crash-related injuries and death by about half. Currently, 49 states and the District of Columbia have laws requiring the use of seat belts in cars. The only state that does not currently have a seat belt law is New Hampshire. The CDC states that seat belt use is lower in states that do not require seat belt use or have secondary seat belt laws by about 10 percent. At Hardy, Wolf & Downing, we strongly advocate for safe road measures, including mandatory seat belt use. Our Maine car accident attorneys have seen the unfortunate consequences of auto crashes too often and we know the impact these serious accidents have had on our clients. If you are injured in an accident in Maine, contact our team at 1-800-INJURED for a free case evaluation or contact us to discuss your legal options.